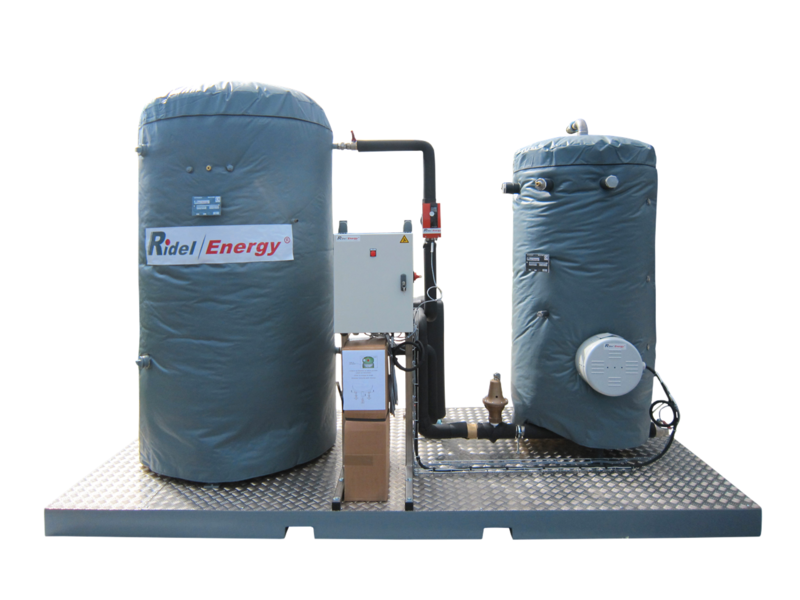 Ridel Energy’s Heat Recovery equipment heats/preheats water for your domestic and production processes. 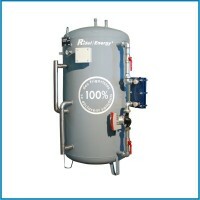 Our recovery equipment collects the heat generated by your production systems, turning system waste into free hot water. 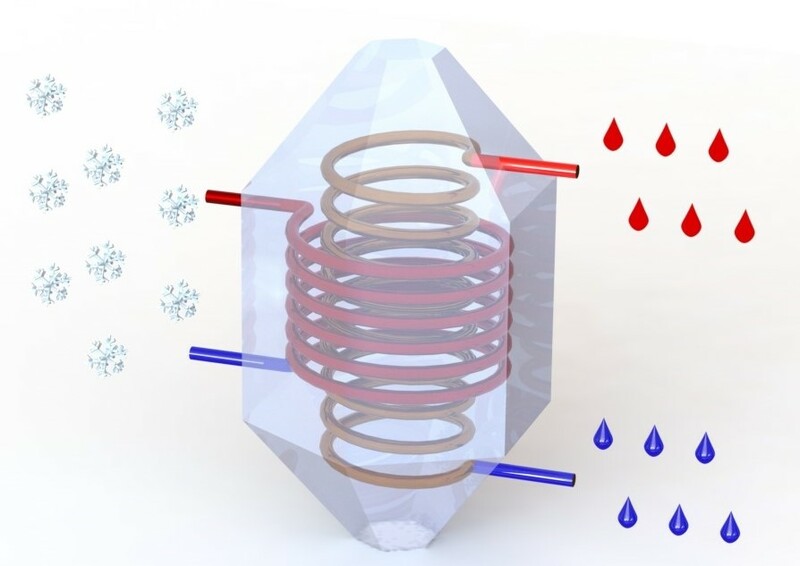 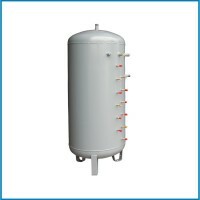 Our exclusive technology is based on a dual heat exchanger submerged in an energy storage tank. 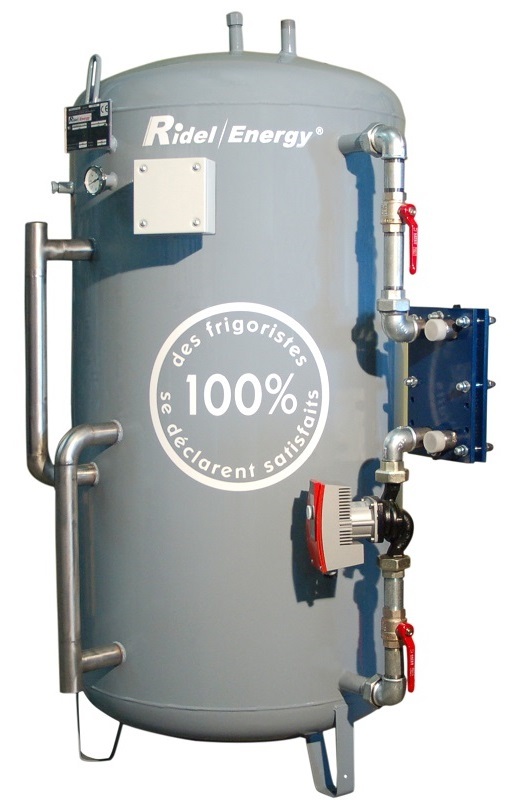 Our exclusive system allows for the continued production of hot water even when your cooling systems are inactive. 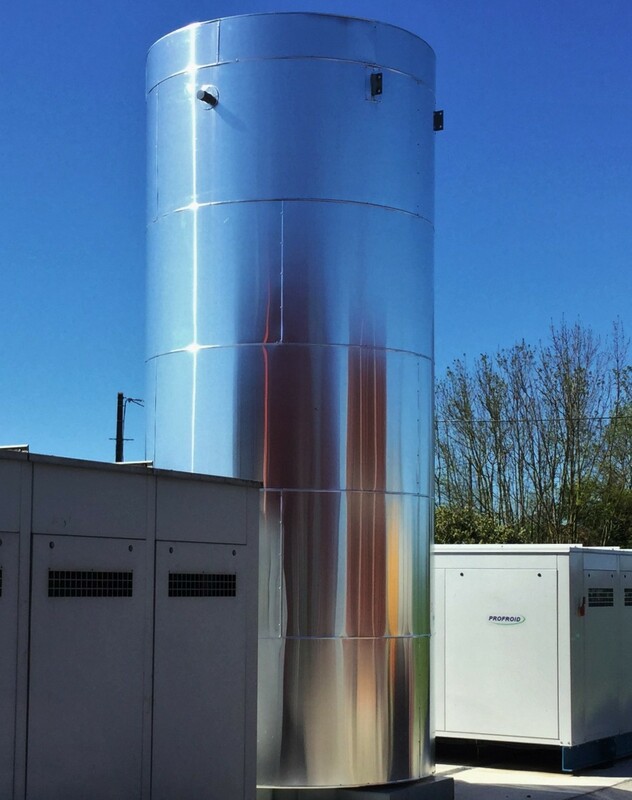 In addition our static heat storage system eliminates maintenance problems related to calcification, oxidation, and legionella contamination. 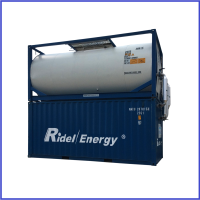 As an added benefit the Ridel reduces heat stress on refrigeration systems, extending life and increasing efficiency. 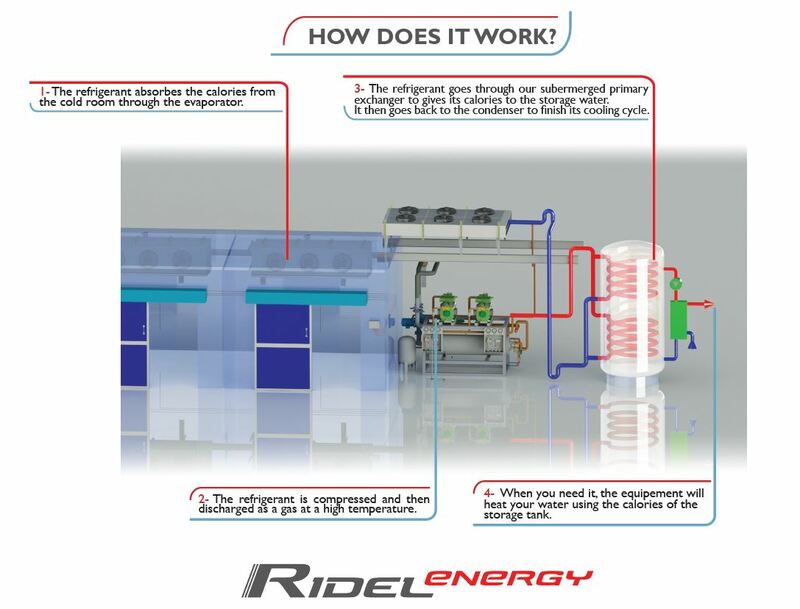 Ridel has been designed to make the efficiency of your refrigeration system primary, and functions at peak efficiency without triggering unnecessary cooling. 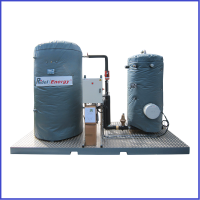 The Ridel/Pack is your complete hot water production tool. 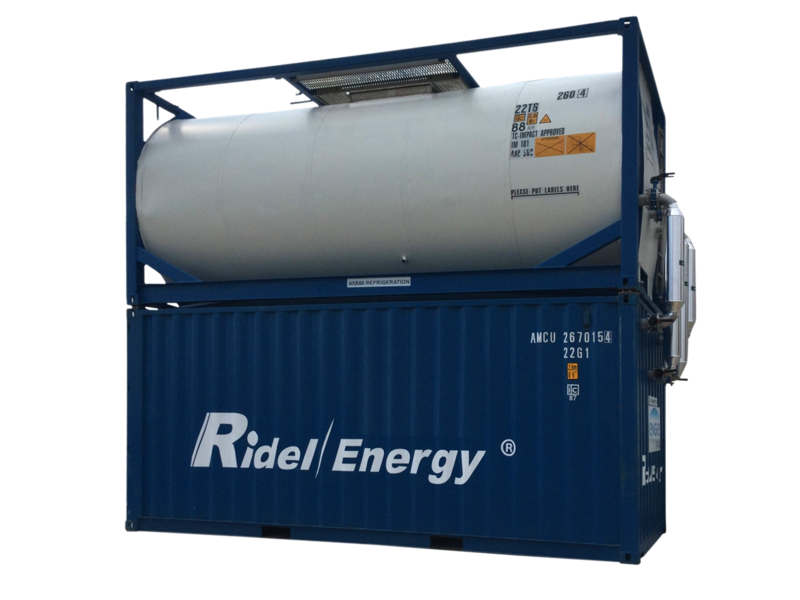 While the recovery unit provides sufficient heat for most needs, the Pack/Ridel provides a secondary cylinder for supplemental heating when necessary.